The wood rings I help transform are more durable than most people think. I was told by a customer that when she was incollege some twenty years ago she had asked a friend to make her a wood ring. While sanding the ring it would break. After 2 to 3 failed attempts she had given up on having a wood ring. Until she found Simply Wood Rings. She bought her first and since then she has bought another. My rings are made from a single piece of wood in such a way that the structural integrity of the wood is maintained. 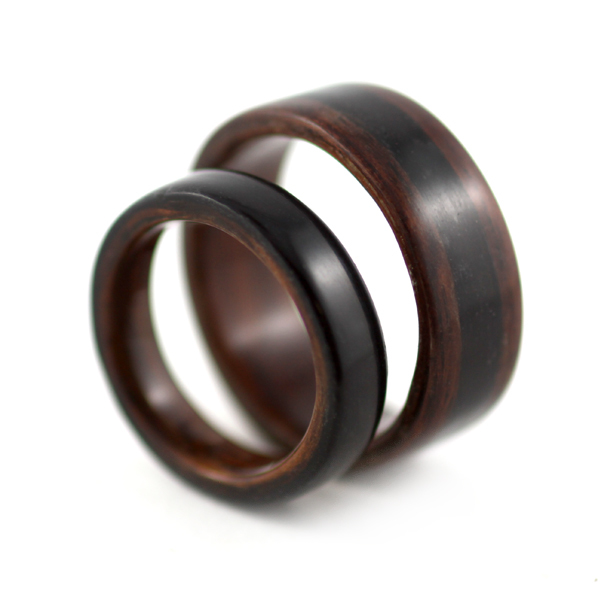 These wooden rings are not created by a lathe, nor do they have metal inserted to create stability. They can only be made by hand. The wood in the ring is manipulated only to the extent that it is capable of being manipulated; its integrity is never compromised.